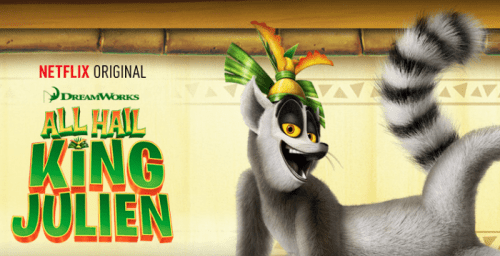 Over the Christmas holidays the boys got into All Hail King Julien. What’s that you might ask? Well remember the funny, loud, plucky Lemur character from Madagascar? Well that’s him. This is a Neflix Original show, so you need Netflix to watch it and it’s fab. It’s set prior to the films and is made up of five 25 minute long shows. It’s funny and the boys love it, making it a win in my book. If you liked Madagascar, you will love this. Have a look at the video below and you’ll see what I mean. 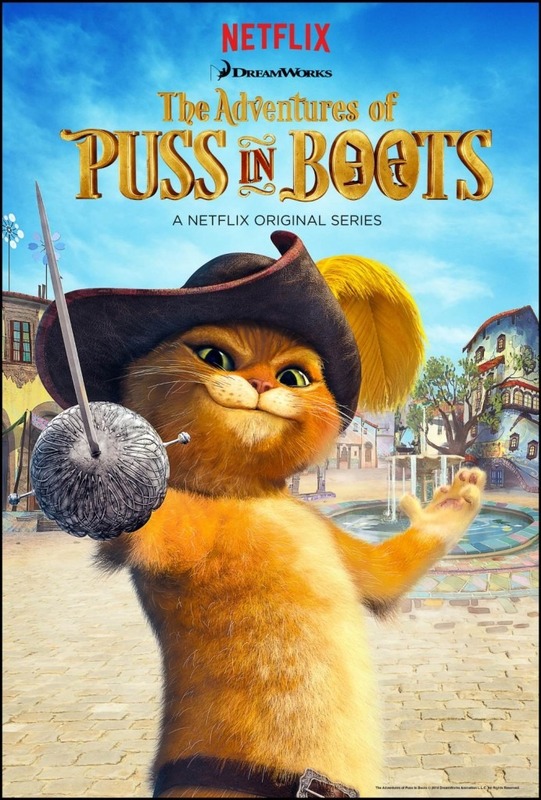 Another fab show that has been keeping my poorly kiddies entertained while they have been off school last week and giving myself and the grandparents a break, is another Netflix Original that is The Adventures of Puss in Boots. This made it’s debut on the 16th January and has been a firm favourite in our house ever since. Puss in Boots is by DreamWorks Animation so you know it’s a good show. There are 5 x 22 minute episodes on there so far with more to follow. The Adventures of Puss in Boots finds the world’s most famous cat in a hidden city of San Lorenzo, a mythical land which has had a spell cast on it making it invisible. Puss breaks the spell accidentally and must do all he can resolve this and become a legend. We really enjoyed this show. It’s fun, action packed and keeps you on the edge of your seat. It’s well made and the graphics are outstanding. The character is likeable and had a real sense of style about him. I think this will be a favourite in our house for a while. Have you checked out the Netflix Original series? Which ones do you like? Or which ones would you like them to do? 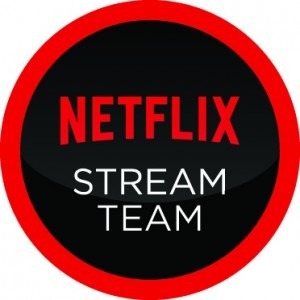 Disclosure:- I am a member of the Netflix Stream Team and received a Netflix subscription, however, all opinions are my own, and I already had a personal subscription before joining the Stream Team.